Life's Little Ironies (1894), which includes, A Few Crusty Characters is a set of tales with some colloquial sketches, set in Essex, England. It's one of Hardy's lesser known works, but a gem. 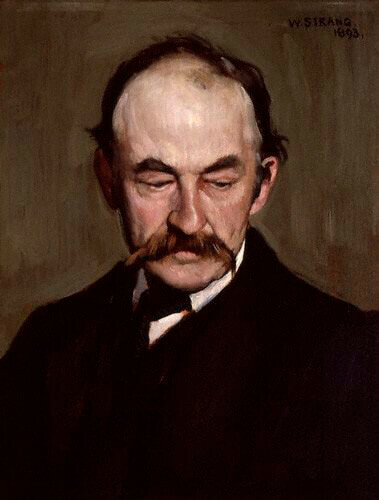 Portrait of Thomas Hardy by William Strang, 1893.